Connie's World Adventure! : One-Year Travel-versary! So my blog updates haven't been sending by e-mail because I tried to mess with the settings, and now the e-mails aren't sending at all - and with that frustration, I've lost all will to blog. And live. Just kidding. Anyways, what I missed two days ago - June 8, 2016 - was my one-year travel-versary! It's been one official year on the road. That is the craziest thought ever. Who could have believed that it was only a year ago that I nervously set off for JFK airport with a stomach full of butterflies and nerves; completely overwhelmed with anticipation and fear and hope and excitement (I've heard from multiple sources that I was a hot mess before I left, so I think the fear was probably the dominant feeling)? I remember feeling so, so scared that I was making a wrong decision and would ruin the course of my life, or that I was going to hate traveling alone or even worse, that the entire thing was going to be a struggle. And here we are. A year on the road. As my trip starts to wind down, I want to more tightly cherish and remember and hold onto every moment. I can't help feeling like the past year has been a dream. So many things have happened that it hasn't felt real. Sometimes the memories feel like things that have happened to someone else. What a crazy, amazing, (...cramazing? ), life-changing ridiculous adventure it has been so far - words can't even describe how I feel about the whole thing, and how much it's impacted me and the way I think and the way I want to keep on living life going forward. 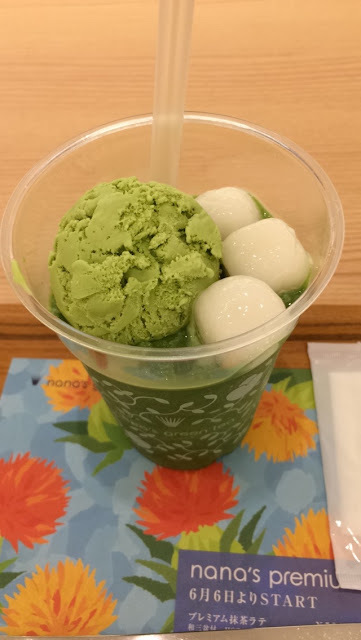 I spent my one-year travel-versary wandering Kyoto, celebrating with green tea ice cream, and over a couple drinks with new hostel friends. Happy one-year travel-versary to me! I will resume my will to blog soon, and I will figure out why I've permanently ruined the e-mail settings soon (curse you again, Blogger!). Stay tuned for more Japan! But until then, THANK YOU to all of you for reading and following along, for caring about my trip, for feeling like the 158 (!) posts I've written thus far haven't been in vain, for laughing with me and writing to me and sharing your thoughts and love and kindness and support. It means the world to me, and it's gotten me through times when I've questioned my decision or doubted some part of it. Love you all and see you on the flip side of all this (which is yet undetermined, but it is winding down very soon)! XO! We love you!! I hope you had a cramazing travel-versary!! Hugs!